The small window of time that is the boating season in New England is a busy and important time for local boaters. Making sure that your vessel is ready in advance of the season is the best way to maximize your annual experience and get in all the time that you can out on the water. Seasonal maintenance in advance of spring is an important part of boat ownership and should be scheduled when you put your vessel in for storage each year. Top quality yacht repair and maintenance in Mattapoisett can be found at Triad Boatworks, a family owned and operated boatyard that has been providing professional services to local boaters since 1993. Whether you need electronics and radar repairs, work done on outboards and engines or just basic seasonal maintenance for boats to ensure that they are ready for the season, you can count on Triad Boatworks to get it done right. While there are a lot of things that should be checked before you put your vessel back out into the water for boating season, there are five items that absolutely positively cannot be overlooked. Taking advantage of the off-season to get all of these repairs and seasonal maintenance for boats taken care of will give you more trouble-free, worry-free time out on the water all summer long. One of the most important items on your boat is the motor. Your annual yacht repair and maintenance in Mattapoisett should include an inspection of your outboards and engines to make sure that everything is functioning as it should. You don’t want to get out on the water that first day of the season just to get towed back in for emergency repairs. Seasonal maintenance for boats should always include motor maintenance that consists of checking the spark plugs, filters, fluids, water pump, fittings and anything else that pertains to your particular set-up. Keeping a maintenance log will make it easier to quickly look at what has been done and identify what needs to be done, so if you don’t have one currently, considering starting one up right now. Another very important element to the operation of your vessel are the batteries. Check to see if your batteries are in good working order. Batteries that are three years old or less can be checked quickly and easily by making sure that the cells are filled with water. Batteries that cannot charge properly or will not hold a charge should be replaced right away. When you get your annual seasonal maintenance for boats at your local storage or boatyard, make sure to ask them to check the battery. Electronics and radar repairs in the South Coast area can be employed to ensure that your battery is functioning as it should. One area that you just cannot afford to overlook, yet many boat owners tend to ignore, is the electrical system. A very thorough check is required for proper yacht repair and maintenance in Mattapoisett, so this is one of those services that many boat owners will gladly turn over to the experts. Triad Boatworks can perform a complete electrical system check and conduct any electrical, electronics and radar repairs that you require as part of your overall seasonal maintenance for boats. An electrical system test includes all lights, electronics, pumps and accessories, such as GPS and other related systems. Believe it or not, many boat owners forget about checking to make sure their vessel is water tight. 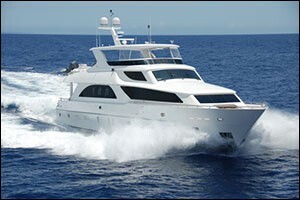 A good check should include the hulls, seacocks and hoses, to ensure that there is no corrosion, cracks or leaks. The underside of the boat should be thoroughly inspected and checked for cracks or chip that could become bigger problems while out on the water. Again, this type of boat check is usually part of the services provided with yacht repair and maintenance during the off-season. Make sure to ask what types of checks and services are included with your seasonal maintenance for boats. If something were to go wrong while you were out on the water, would you be prepared? It is important to have all of the tools you will need if you ever got stranded or ran into any issues away from shore. Life jacks, fire extinguishers, flares, anchors, safety rafts, first aid kits and other essentials should all be kept in a central location so you will know where they are if something happens. A “ditch bag” should also be kept that includes essentials such as a whistle, signal mirror, handheld GPS, VHF radio, drinking water and extra batteries. That bag should be waterproof and stored with your other safety supplies. While most of the items on this basic checklist are common sense, it doesn’t hurt to go over them before you hit the water for the first time each year. Or, if you are short on time, make sure to pay someone to inspect and service your outboards and engines or to provide you with electronics and radar repairs in addition to your regular yacht repair and maintenance in Mattapoisett. Seasonal maintenance for boats is important to ensure that you, your vessel and your guests are safe. To learn more about our services or to get a consultation to determine what services you will require, please contact Triad Boatworks by calling 508-758-4224. Our team has all of the knowledge, experience and state-of-the-art tools required to provide you with the very best in seasonal services, yacht repair and maintenance in Southeastern Massachusetts and Rhode Island.